A Guide to Ecologically-friendly Landscape Gardening. Native plants may be propagated by seed or by different methods of asexual propagation. A little bit of research can help you to determine the best method for each species. Learning and using methods that have been used successfully by others, will increase the chances of your own success. Seed propagation is the preferred method to ensure genetic variability, or when greater numbers are desired. Many seeds, however, are not ready to germinate directly after ripening on the mother plant. They often need to go through chemical or physical changes before they are able to grow. Stratification: Many of our native plant seeds need to go through a cold period before they will germinate. Some need a warm period prior to the cold period (especially those that ripen earlier in the summer). This kind of seed treatment is called stratification from the Latin “to layer.” The easiest way to stratify seeds is simply to mimic the conditions the seed would encounter in nature. For many plants, simply sowing the seeds in the fall and leaving them out through the winter will work. 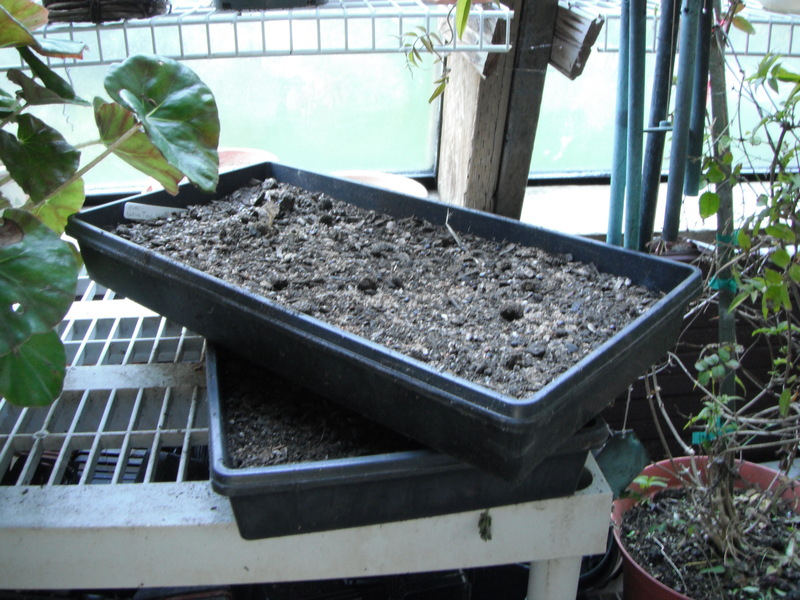 If you need to, you can stratify seeds by placing them in a moist media, in a partially open bag (for gas exchange) in a refrigerator for the appropriate amount of time, but seedlings that germinate in the bag before planting, often do not fair well. Scarification: Some seeds have a very hard seed coat that prevents them from absorbing water or oxygen. In nature, these seeds would go through a process that would break through this hard seed coat. Often seeds that are contained in a fruit would pass through the digestive system of an animal. Some seeds, where forest fires are common, need heat to melt resins to be released from their cone or they need to be burned slightly to weaken the hard seed coat. The word scarify, means “to scratch” in Latin. To mechanically scarify seeds, you can rub them with sand paper, notch them with a file, or crack them with a hammer, being careful not to damage the embryo. Seeds are also sometimes scarified by soaking them in acid or hot water. Seeds that you have sown often need to be protected from foraging rodents and birds. Covering them with a floating row cover may discourage birds and keep out weed seeds, too. Covering the trays with hardware cloth or another tray with small mesh openings may also help discourage birds and rodents; it may be necessary to set out traps, bait or repellents. Emerging seedlings and cuttings may also need protection from slugs and rabbits. Asexual propagation: The most common method of asexual propagation is by stem (sometimes root) cuttings. Cuttings may be dipped in a hormone treatment such as IBA (indolebutyric acid) to aid in rooting and then stuck (right side up!) in an appropriate media, such as sand, peat moss, vermiculite, perlite or regular potting soil. More difficult plants may be propagated by layering; where a branch that is still attached to the tree or shrub is bent down, and covered with soil to encourage root growth. Wounding by scarring or notching the bark prior to burial may aid this process. Division: Plants that produce many stems or spread by rhizomes may simply be dug up and divided as long as each piece has sufficient roots to sustain it. All of these propagation methods require the appropriate temperature, moisture and light levels. Misting and bottom heat may be beneficial. 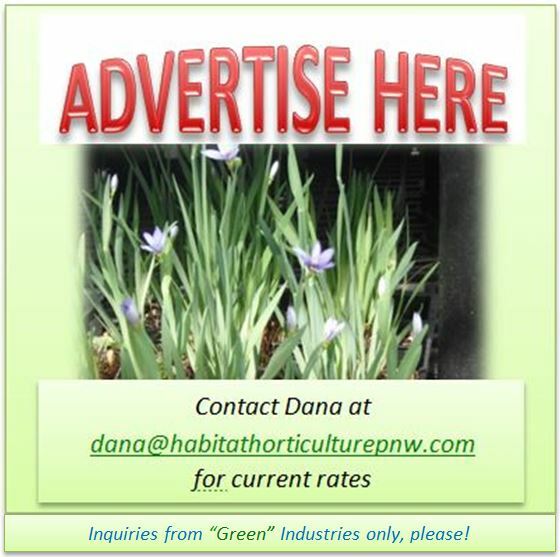 Growing new plants that will enhance your landscape or revegetate natural areas is very rewarding. Especially when you can watch the plants grow through the years! Unfortunately, I do not get to see many of the plants that I grow at the nursery mature; but I have the satisfaction of knowing they are helping to improve the ecology of our region by providing food and cover for wildlife, helping to combat pollution by filtering our watersheds and reducing global warming by sequestering CO2! 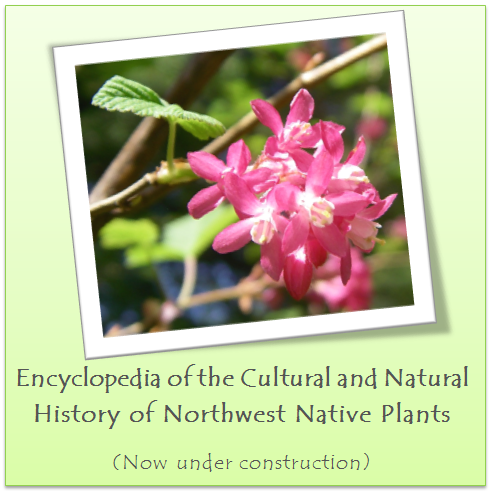 My native plant encyclopedia, http://nativeplantspnw.com gives some basic propagation procedures for each species that had been uploaded so far. For more detailed information, a link is given to the Propagation Protocol Database, http://www.nativeplantnetwork.org/Network/ if available. Rhene Johns on Landscape for people and wildlife. habitatdana on Mosses in the garden; good or bad? Jerry on Mosses in the garden; good or bad? Judith K Thierry on Landscape for people and wildlife. Author: Dana Kelley Bressette, M.S. *All photographs on this site were taken by Dana, Edmund or Sky Bressette unless otherwise noted. **Use of articles and photos on this site is permitted for educational purposes only.